CLOSEOUTS. This Peregrine by J.G. 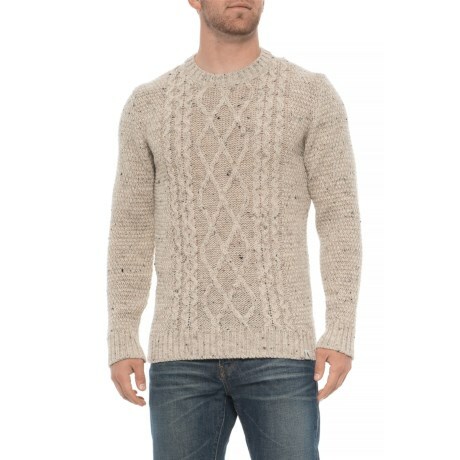 Glover British wool picton sweater warms you up with classic cable-knit wool, made in the United Kingdom. Available Colors: SKIDDAW, OLIVE. Sizes: S, M, L, XL, 2XL.